This module is ideal for applications where a regulated output voltage (adjustable) is needed from a widely varied input voltage source. With its 98% conversion efficiency, efficient DC to DC voltage conversion for output power up to 3000W can be achieved. 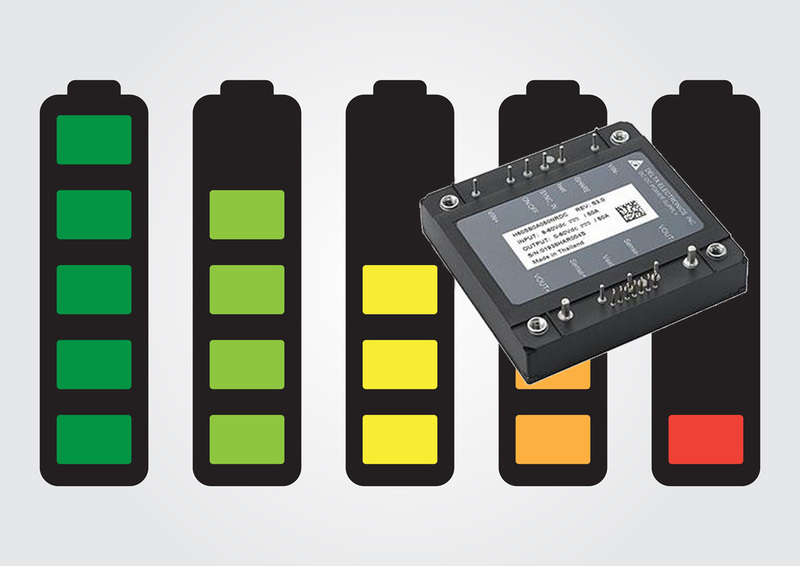 Also, the H60SB0A050 is particularly suited for the implementation of battery charging circuits by the implementation of its adjustable output current limiting function. This compact unit provides a single output voltage which is adjusted over a wide range (0-60Vdc). The input voltage range is 9-60Vdc, with an output current of up to 50A. The peak efficiency of this standard half brick DC-DC converter is up to 98%. The H60SB0A050 DC-DC converter comes with a host of industry-standard features, such as over-current protection, over-temperature protection, input UVP & pre-bias start-up input reverse polarity protection. It can be connected in parallel application for higher output power without the requirement for additional external or-ing FETS. For samples, technical support and pricing please contact our engineers.